According to the Earth Day Network (EDN), the Earth Day has reached its 48th year and is celebrated every year on Arpil 22. This weekend more than one billion people across 192 countries will take part in the event. The environmental movement was started in 1970 and it was Rachel Carson’s bestselling book Silent Spring that disclosed the effects of the use of pesticides – in 1962. The book was sold in large numbers and it was after reading the book that people became aware about the environment. But the intitial concept came to the US Senator Gaylord Nelson, who is accredited for organising the event 48 years ago. He even organised rallies in the different cities of the United States to spread awareness about clean environment and how to protect the environment. The Earth Day is also considered to be one of the largest secular world event. People is different parts of the country spread awarnesss regarding conserving the environment as well as plan actions to protect the environment. To celebrate the Earth Day and to spread awarness among people, renowned sand artist Sudarsan Pattnaik's from Odisha has made a 3D sand art on the Puri beach. The 3D art shows a crocodile coming out from a water body and stop pollution has been carved in the sand. The art surely grabed the attention of passer-bys and it urged people to stop plastic pollution. The theme was this year's Earth Day is 'End Plastic Pollution'. According to Earth Day Network, "Earth Day 2018 is dedicated to providing the information and inspiration needed to fundamentally change human attitude and behavior about plastics." “EDN has built a multi-year campaign to End Plastic Pollution. The motive behind the theme is to curb the plastic pollution and an individual should keep a check how much plastic they are using annually. After examining the amount of plastic used, one should take meausres to reduce that particular amount. 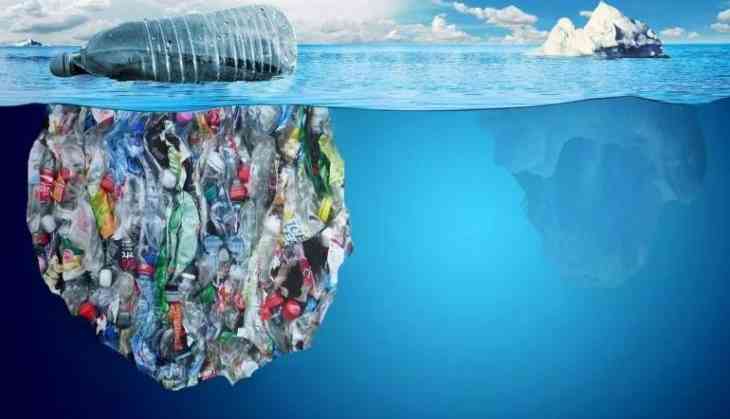 As we all know, plastic is non-biodegradable and even if you dispose the plastic it will be there in the environment for more than 2,000 years.